A lot of people use inhalers. They’re a fantastically simple and convenient way for patients to rapidly administer a very effective drug, either on an ‘as-needed’ or a regular basis. The convenience of self-administration, however, always brings with it the disadvantage of requiring the patient to actually do it right. When a trained medical practitioner injects or applies a medication, one can usually assume it’s been done properly, and the drug will work as it should, however when a patient is left to their own devices, they’ll come up with their own weird, wonderful and invariably completely ineffective methods. Inhalers are an absolutely perfect example. If you use an inhaler with perfect technique, you’ll receive maybe 10%(1) of the drug into the lung, slightly more if you use a spacer. Most of it is swallowed and therefore doesn’t do a whole lot of good for your lungs. 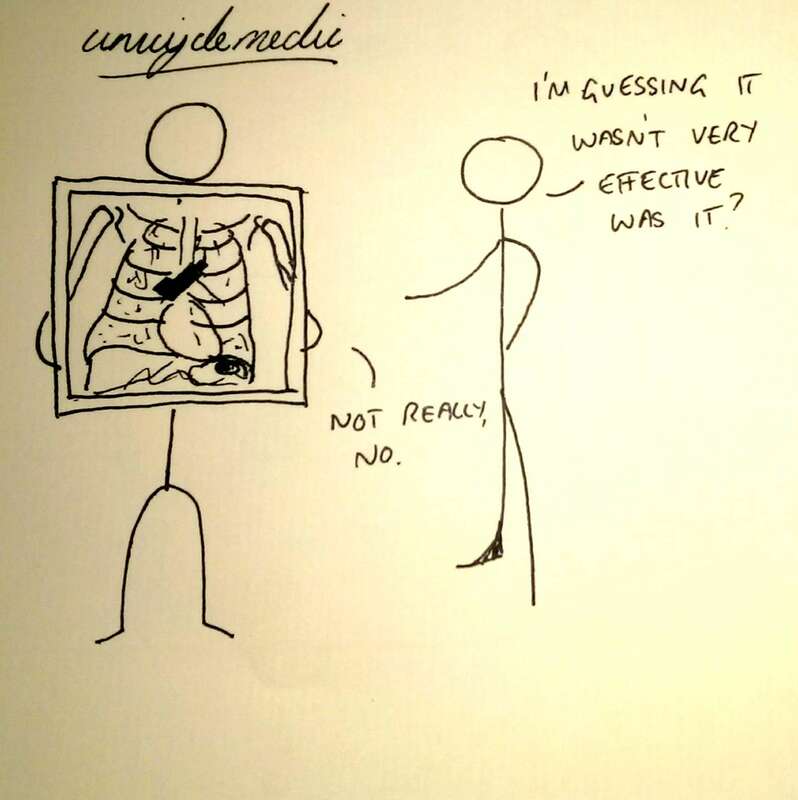 Most people don’t have perfect technique, and so very often will approach their GP or Hospital doc complaining that their ‘inhaler doesn’t work’. It may well be that the inhaler isn’t working, but it can only be given a chance to work if used properly. Obviously the correct technique depends on the device, but here we’ll just consider the most common; the garden variety metered-dose inhalers (the blue/brown ones). If you’re using a blue one for an asthma attack and not feeling any relief after 10 puffs, call an ambulance. Preventers are preventers. Not taking them because ‘I feel fine‘ is ridiculous. That’s the point, they keep you feeling fine. If you have asthma, and you feel like you’re having an asthma attack, do your best to stay calm, as this helps in itself. Obviously this is actually very difficult to do when having an asthma attack, but if you can avoid panicking then it’ll help with your breathing. If you’re having an asthma attack, have a low threshold for calling an ambulance. Remember the ambulance is going to take time to get to you, so don’t delay calling. If you think this attack is ‘worse than normal’ or your reliever isn’t helping, call for help!